We believe that every single one of us has the ability to achieve incredible things and that location, perceived lack of time, children and other commitments shouldn’t be what holds you back. Life is too short to waste the opportunity to make it happen - NOW! Though, we know it’s not easy - we’re here to help. A passionate primary industry supporter, she came into the industry as a fresh faced, naive, high country shepherd. Since then she has dairy farmed and vet nursed in a mixed animal practice before having children Isabelle and Hunter. After having Isabelle in 2012, she soon realised living rurally made things more difficult in terms of friends, family, childcare and commuting to work so she had to ask the question - what now? This is when she set about paving her own way focusing on FMNZ, off-farm investments, leadership and personal programmes, entrepreneurship, writing, public speaking and coaching other women in similar positions. Farming Mum’s began in 2013 to provide support and comradery between women living in isolate locations, on farm, around New Zealand. Over the years there have been incredible highs and lows from floods, fires and disastrously low pay outs, to horrific deaths and accidents. On the flip side we have celebrated births, marriages, successful calvings, high lambing percentages and in-calf rates, cute videos, shared recipes and much support given between members consistently. The longevity of our group can be put down to a strict ‘Code of Conduct’ to help protect our members and remove ones that upset the rest, as well as having an incredible, dedicated team of administrators and long time members who take pride in the level of quality within the group. Although it has morphed and changed naturally since conception, we take much pride in what we have on offer and our members appear to also with 50-70 posts per day, 100,000 engagements every 28 days and the unwavering growth of 50-80 new members every month. 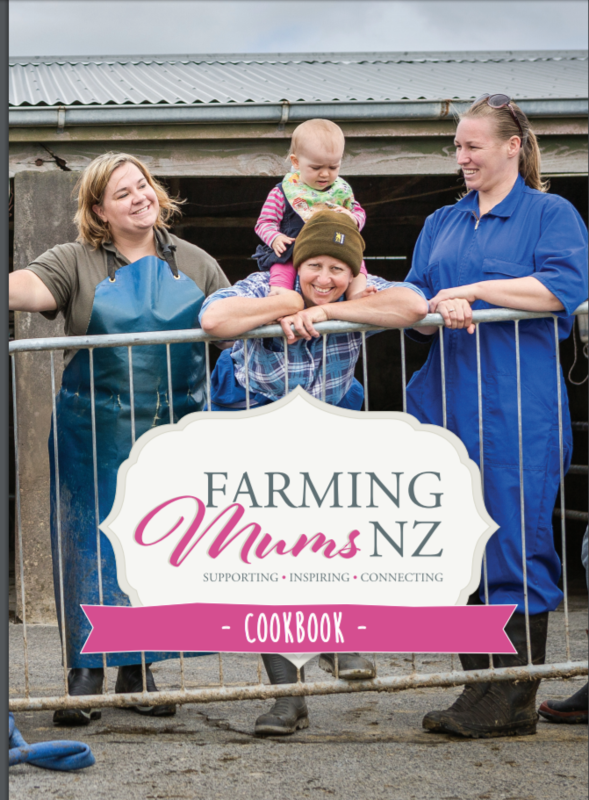 In 2016 a group of talented FMNZ members worked tirelessly together to produce the ‘Farming Mums NZ Cookbook’ which we went on to sell Between 2016 - 2018 we sold 3000 books, allowing us to donate $15,000 each to St John Ambulance and the Rural Support Trust. As we hit 12,000 members in 2019, it’s time to level up what we have to offer and our goal is to do a whole lot more - supporting, inspiring and connecting.